It's Official: Brewers Will Pay Less Tax in 2018. Now What? - Ward and Smith, P.A. It's Official: Brewers Will Pay Less Tax in 2018. Now What? On December 22, 2017, the President signed into law the Tax Cuts and Jobs Act, which reduces the federal excise tax on brewers for years 2018, 2019, and 2020. A detailed description of how the new law reduces brewers' excise tax is available in our previous article. Many brewers are now pondering how they might deploy their tax savings. Below are our suggested Top 5 smart ways brewers could reinvest their tax savings to grow their business. If your supply does not meet the current demand for your product, consider using the tax savings to hire additional employees or purchase new equipment to enable you to produce more. 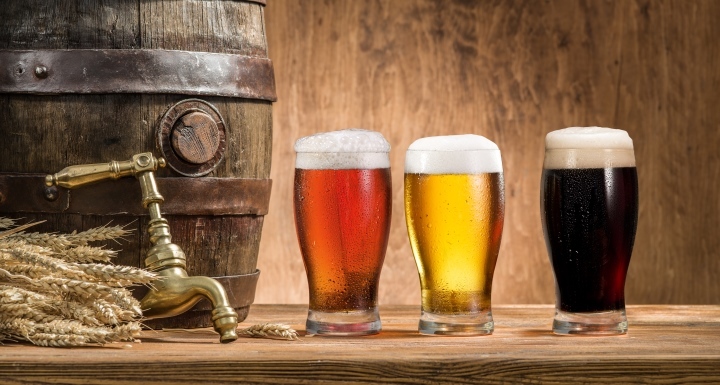 In addition to reducing excise tax, the new tax law allows brewers to more quickly deduct the cost of new equipment, so you could also enjoy income tax savings from purchasing equipment. Unlike most other industries, craft brewers are an amicable crowd who, despite being competitors in the marketplace, often are willing to help out other brewers. Take advantage of this culture by getting involved. Learn more, network, build relationships, and your business will grow. No one wants to invest time, effort, and money in branding a particular product only to see a competitor start using the same name or logo. Take steps to protect your intellectual property by trademarking it before infringement becomes a problem. You likely have spent significant time training your employees how to produce your product and deliver it to consumers. Have you also developed anti-harassment and anti-discrimination policies and spent any time training your employees on these topics? With so much attention focused on these issues nationally, and the general trend of society becoming more litigious, providing your employees formal training on these issues could help prevent harassment or discrimination claims. If a situation does arise, evidence that you provided training could limit your liability as an employer. In connection with training your employees, it is prudent to ensure that provisions in your employee handbook addressing these topics are up to date (or if you do not currently have an employee handbook, develop one). What is your exit strategy for your business? What will happen to your business if you or one of your business partners dies, marries, divorces, or becomes disabled? If one of these events occurs, it would be extremely unusual, on short notice, to find a third party who is willing to purchase your business for a price you or the remaining partner(s) would deem reasonable. Successful business transition typically requires several years of planning. Take control of the future of your business and consult with a competent professional to start planning your exit strategy. Brewers who want to grow their business should consider these options and be ready to smartly invest their tax savings.